Various studies have suggested Beetroot juice is able to increase endurance and delay fatigue for athletes in long distance races. A recent study reported in Cycling Weekly suggested drinking Beetroot juice can also improve speed in short distance races. This study gave cyclists a drink of beetroot juice two hours before the test. In one group the nitrate was removed from the beetroot juice. In the other group, the natural nitrate was left in the beetroot juice. The group with nitrate in, managed to reduce their times. The theory is that nitrate helps muscles work more efficiently using less oxygen to produce the same amount of power. When scientists from the University of Exeter researched Beetroot juice, they found it improved the endurance capacity of athletes; they believed the benefits were the result of the nitrate turning into nitric oxide in the body, reducing how much oxygen is burned up by exercise. Like many other fresh fruit and vegetables, beetroot juice is high in antioxidants which helps to reduce blood pressure. It is supposed to be very good at reducing high blood pressure, especially amongst men who have high pressure already. The benefits should be seen with other vegetables which have high nitrate content such as celery, lettuce, spinach. Side effects of taking too much beetroot juice include urine colour changing, diarrhoea and stomach cramps. In 2011, I used beetroot juice for several races. This included setting a pb for 10 miles of 20.07. I didn’t do any harm. I was in great shape when taking beetroot juice and I set some really fast times. However, there are so many variables, I can only guess whether it was beetroot juice or the quality of training. I think it’s definitely worth giving a go. Suitably impressed by benefits of beetroot juice, I decided to hold my very own, not quite as scientific, study. This week, I paid £3.50 for a bottle of organic beetroot juice from Holland & Barrett. I drank the beetroot juice for four days before a 10 mile time trial on Sat, 18th June. The course was the F20/10 in Hertfordshire. Beetroot Juice definitely turns your urine pink. 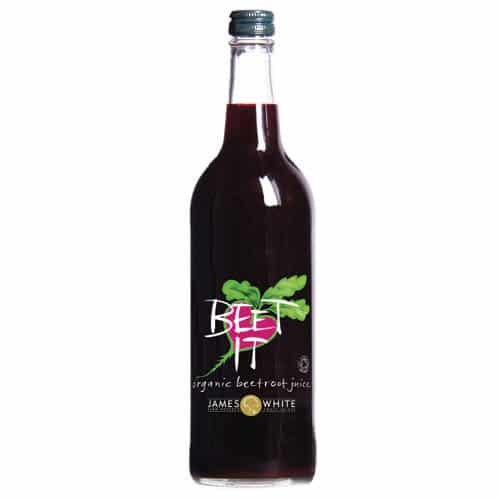 Organic Beetroot juice is expensive and doesn’t even taste nice, for want of a better description it tastes like highly concentrated beetroot. A minute quicker than previous 10 mile time trials is encouraging. Unfortunately, the time trials are not comparable. The courses are different. The F20/10 is flat and the turn is really quick. Yesterday, it was a windy evening, but it felt quite fast. Also, I’m always faster later in day than in morning like last time trial. I made a few tweaks to my position and used some new aerodynamic equipment (aero gloves) I will be reviewing soon. Nevertheless, it’s really nice to set a new pb, and it definitely encourages me to try it again. It definitely didn’t make me feel any slower! On the way to the race, I nearly turned round because there were some strong rain and threatening clouds. However, the weather forecast had said clear skies and sun for the time of the race so I persevered. By my start time, it had more or less stopped raining. If was still raining I may have dns because it is not so safe on dual carriageways when wet. Quite a few riders decided not to race at all, and I can understand why. I didn’t warm up for race apart from 3 miles down A10 to start. The road surface was pretty good apart from a section of lumpy bits at about 7 miles, but it didn’t last for long. The funny thing is on finishing I was really disappointed not to get a ’19′ – this is a magic target because it means you averaged over 30mph for ride. Hopefully, if I keep downing the beetroot, keep improving aerodynamics, a less windy day, and even a bit more training and I should hopefully do it later in the year. Thanks to marshals for standing out on a dual carriageway on their Saturday evening. It was also really nice to have a spectator on side of road jingling some Swiss cow bells. The A10 on a Saturday night is not exactly Alpe d’Huez with closed roads, but I really appreciated someone creating a little atmosphere, just after turn. Bailey, S.J., Winyard, P., Vanhatalo, A., Blackwell, J.R., Dimenna, F.J., Wilkerson, D.P., Tarr, J., Benjamin, N., Jones, A.M. (2009). Dietary nitrate supplementation reduces the O2 cost of low ­intensity exercise and enhances tolerance to high­ intensity exercise in humans. J Appl Physiol, 107(4), 1144­1155. 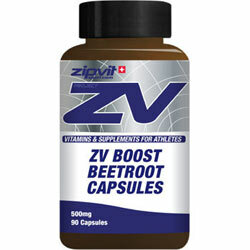 Hi Tejvan, an interesting item, but does beetroot juice work? Well, in my humble opinion, yes it does on both counts, lowering blood pressure and aerobic endurance. I bought M. Hutchinsons book, “Faster” after your review of it and after reading about this juice, decided to try it. I had no idea how much or for how long to take it, but two glasses a day for over a week saw significant improvement in my climbing ability, not any faster, but at the top of a hill nowhere near as tired or breathless as before and therefore recovered far sooner, ready for the next one. Blood pressure wise, I have raised pressure and take a tablet for it. Every time I visit my G.P. for a check up, it is always on the high side of normal 140/90, but not any more, generally now its around the 130/85 mark, which is pleasing. The other item Hutchinson mentions is Omega3 and its ability to help recovery, I am taking this also but have not noticed any difference, have you ever tried it and if so, did it help you.